Hypothyroidism is one of those unsuspecting illnesses which only really show up after a set of specific blood tests. Ever since I suspected I have hypothyroidism, I started an uphill battle to get better. The truth is, hypothyroidism, unless treated really well with adequate pills, is quite a debilitating illness. And the funny thing is, it can have so many symptoms that many people go for years and even decades untreated until they finally decide that enough is enough and a revealing blood test is necessary to finally make them feel better. Hypothyroidism can take on many symptoms (over 100 last I counted), and this is why it's very difficult to diagnose it with certainty unless specific blood tests are made. Hypothyroidism is also called under-active thyroid disease. It occurs when the thyroid gland slows down in its proper function. The thyroid gland is the very gland that keeps the entire metabolism working properly. When it slows down in creating thyroxine (also called T4, the main thyroid hormone), this in turn slows down all the processes that happen in the body. Note: Did you know that a person who had their thyroid gland taken out can't survive for very long without Thyroxine pills? Eventually the body will stop functioning at all. The thyroid gland affects many things, including the rate of growth, the body development along with several cellular processes, so you can realize just how affected a person can be when they remain non-diagnosed and untreated of hypothyroidism for a long period of time. 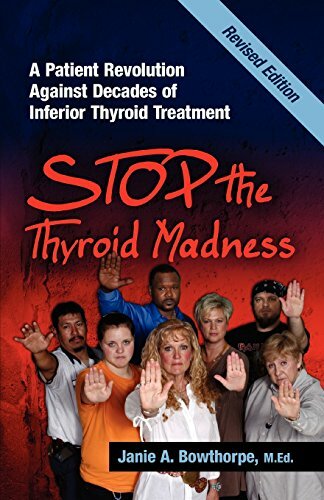 I will try to keep this list brief, but in all honestly, there are over 100 well known symptoms of hypothyroidism known so far, and most of them are seemingly totally unrelated to this very disease. When I figured out on my own that I probably suffer from hypothyroidism, I had at least 10 very different symptoms, which all by themselves don't mean much, but when they all happen around the same time, well, let's just say I don't believe in such strange coincidences. Can you see how each of these symptoms can on their own seem very harmless? None of the symptoms alone point to hypothyroidism, but when you have at the very same time cold feet and hands, you're feeling all the time cold when others around you don't (I hate winters because of this! ), you have bowel movement problems and your hair is falling out while your skin is extremely dry, any doctor worth his or her salt can at least order a series of blood tests to at least rule out this strange disease. And if they don't, you should do it on your own, and below I will tell you exactly which blood tests you need to do - a 'general' set of blood tests is not enough. When you experience some of the symptoms above - more than 2-3 at the same time, it means there is something going on with your body, more than just a 24 hour virus or something similar. This is when you should either talk to your GP or if you don't have one, search out a good endocrinologist and make sure you tell them all the symptoms, no matter how irrelevant they might seem. If your doctor believes you have hypothyroidism, he or she might order 1 or 2 blood tests - unless the doctor is exceptionally good and knows their stuff really well. The main blood tests ordered by the medical practitioners are usually TSH and either TT4 or FT4. And usually the buck stops there. Thyroid antibodies to rule out (or diagnose) Hashimoto's disease - which is usually the main cause of hypothyroidism. The two antibodies are anti-TPO and TgAb and if you also want to check that you don't have Grave's disease, also ask for TSI. The 4 iron tests: Ferritin, % Saturation, TIBC and serum iron. Usually doctors order Ferritin and serum irom, but you should insist on all 4. For a true picture of your thyroid activity these tests are a must. Once I had all done (except for RT3), my doctor had a much better picture of my health and what we had to fix. And yes, he initially only ordered TSH, FT3 and FT3 and the rest I ordered on my own. And the doc was glad I did! Usually once hypothyroidism is diagnosed, the patient is given synthetic T4 in the form of tablets called thyroxine. Various countries have it under different names. The brand I was taking is called Euthyrox, but my dad is taking Levoxil. It is also known as Synthoid, Oroxine and Levothyroxine, among other names. Most of the people suffering from hypothyroidism after a few weeks will start to feel better on this pill which has to be taken early in the morning at least one hour before the first meal (unless you can take it sublingually, then you can have breakfast even 5 minutes after). For many of use, however, thyroxine simply doesn't work. I was taking it for almost 4 months and I had the same symptoms, nothing changed. Oh and the irony - my labwork got much better, the dreaded TSH levels were again 'in the range', so it means I should be much better. Problem is, I was not. I was not better at all. Having in the meantime researched as much as I could about this weird illness, I've learned of alternate treatments that actually worked (and no, I'm not selling here any scammy ebook!). The two I've learned of are synthetic T3 also called Liothyronine and NDT (natural dessicated thyroid made of thyroid from pigs). Getting access to NDT is extremely difficult and many doctors don't even prescribe it, so instead I talked to my endocrinologist and told him that T4 simply doesn't work, my symptoms are all there, and I don't care about right lab works if I'm still feeling very ill. So we agreed to give synthetic T3 a try. And let's just say my life has changed completely. Is T4 Enough To Treat Hypothyroidism? Why T3 And NDT Work When T4 Doesn't? In order to answer this question I'd need to go a bit into biology and medicine, and I'm dearly not qualified for it - but let's just say from my research I've learned that the T4 hormone produced by the thyroid gland is basically a storage hormone, which creates and converts to T3. The T3 hormone is actually the one that the cells really need. While for most people the conversion of T4 to T3 works flawlessly, for a few of us it simply doesn't happen as it should. This is why taking the T3 directly means we bypass the conversion process and we give the blood cells exactly what they need: T3. 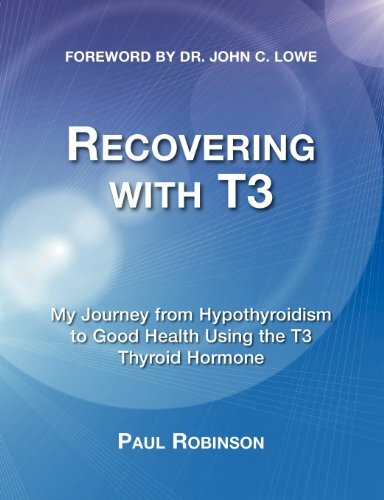 If T3 hadn't worked either, I would have fought for getting NDT, but as it is right now, I'm happy to say T3 works and luckily I can find it here in the pharmacy locally so I can have it at all times. Sadly once diagnosed with hypothyroidism, the pills have to be taken for life. The only difficulty with taking this pill is that it took time for me (even my doctor couldn't help me with this one) on how to properly dose it. The T4 works throughout the whole day, but the T3 has a rather short action, so it basically 'dies out' within a few hours. So currently I'm taking 25 mcg T3 split in 2: half pill in the morning around 8 am and the other half at around 1 pm. It took me a while to find the right dosage and with T3 you really have to give it time to work, you can't just up or down the dosage before keeping at it at least a few weeks. Sadly for many the struggle is much longer until they find their optimal dose. So if you're still searching for yours, don't give up, just keep upping every quarter pill (around 6 or so cmg) every few weeks until you feel well without strong heart palpitations, irritability and hot flushes, which might be an indication that you're overmedicating and you're getting a bit hyper(thyroid). Currently with close to 9000 members and counting. You need to be a member of Facebook to join. 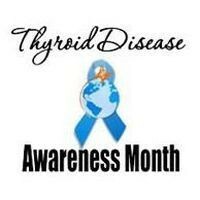 Please note I am no doctor, and this page is only for information purposes, based on my own experience with the various hypothyroid treatments and what worked - or what didn't work for me. You might have other better treatment options and always first check with your GP or endocrinologist before taking any thyroid pills at all! Do You Know Anyone Who Suffers From Hypothyroidism? Great facts and truths about hypothyroidism! Thanks for your devotion in honest research, much appreciated. Hypothyroidism can be easily treated (although not cured) with thyroid hormone medication. The question is which medication is the best.